If you have a sugar tooth like moi, you’ve got to try the cupcakes at Crave. I was astounded at the long list of flavors they offer every day (ever changing). Aside from the usual flavor favorites such as chocolate, vanilla, red velvet, etc, they offer exotic tastes such as Key Lime, Apple, Nutella, Pumpkin, and Coconut. Click here to view the full menu! 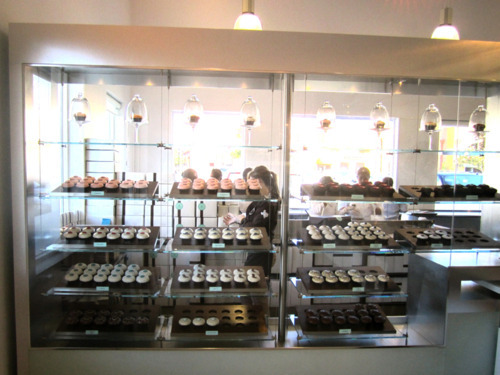 They also offer breakfast cupcakes – I have yet to try them, but they looked yummy. The Lemon Blueberry breakfast cupcake had a very thin layer of icing and a plump blueberry perched on top (even if it isn’t the healthiest breakfast, it sure is cute). They also provide a variety of edible ornaments for special occasions like birthdays, holidays, and more- right now they even have seasonal Rodeo ornaments until March 20th! The flavors I picked this week were (from top left) CRAVE Mint Chocolate, Cinnamon, Apple and Key Lime. 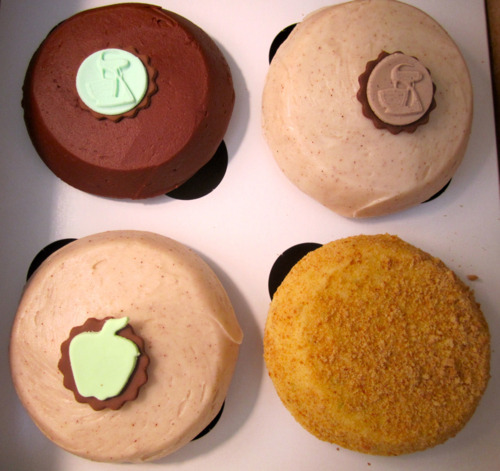 Of the four, my favorite was the Key Lime – loved the tart flavor and the crumbled crust on the icing. The Apple and Cinnamon flavors tasted almost identical, so just choose one if you are curious! Needless to say, my sweet tooth was highly satisfied this week… but don’t worry CRAVE, I’ll be back in no time. And with that I bid you all adieu – have a great weekend!